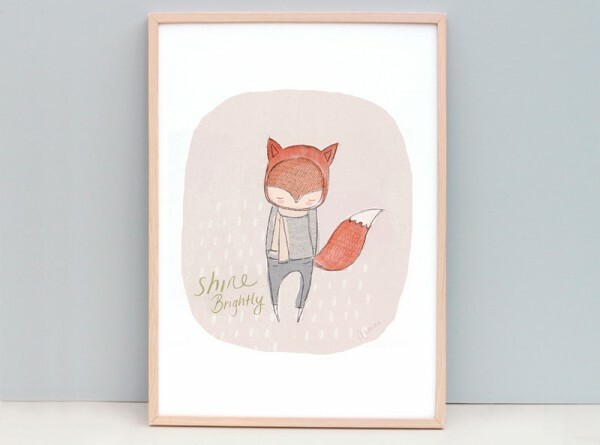 For every bold, brash and fun children’s art print which catches my eye, I find a softly coloured, enchanting style print which makes my print loving heart beat just as fast. 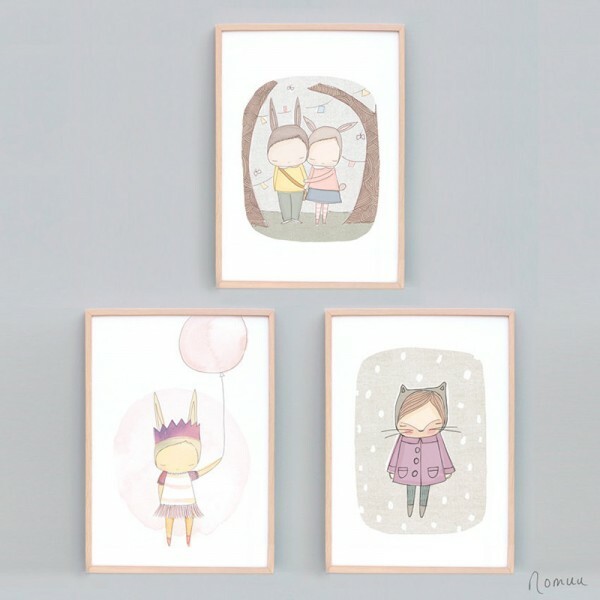 If all things whimsy is up your style street, Honeycup is sure to have a print (or three) for you! 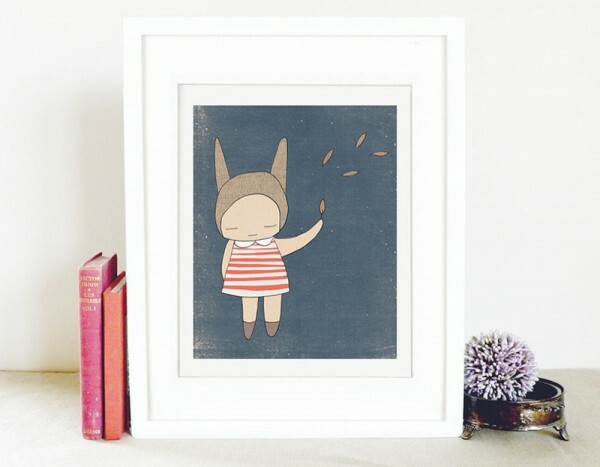 Melbourne based Etsy store Honeycup is home to a magnificent collection of nursery art depicting deer, bunnies, foxes, owls, bears and darling characters sporting funny ears and soft whiskers. Varying shades of red, orange, pink, teal, blue and grey all perfectly pop against the linen look backgrounds of Honeycup’s prints. Styles and colours are consistent throughout the collection, enabling you to mix and match as your heart desires. 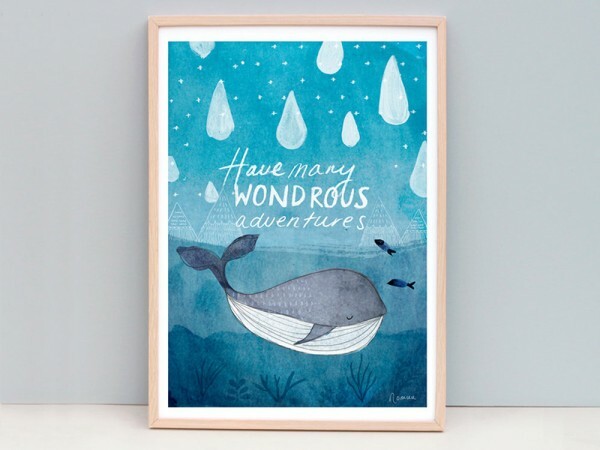 Encourage children to have a whale of a time with this wonderful whale adventure print, an awesome addition for any nautical themed nursery – and the baby whale print (pictured top) is steal with prices starting at $5! Single prints are available in small to large sizes priced from $20 for most designs. 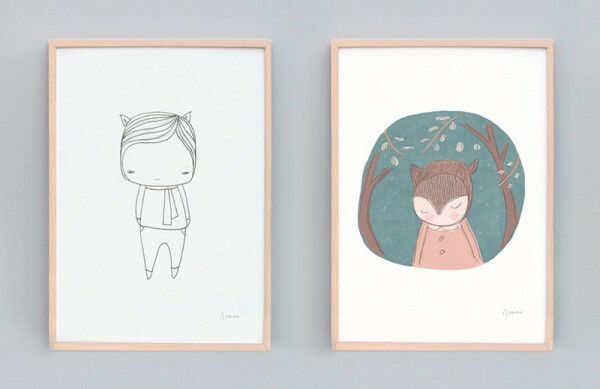 For smaller prints, be sure to check out Honeycup’s greeting card range, $6 each or three for $12. To admire more of this gallery, you can see it in its entirety at Honeycup.